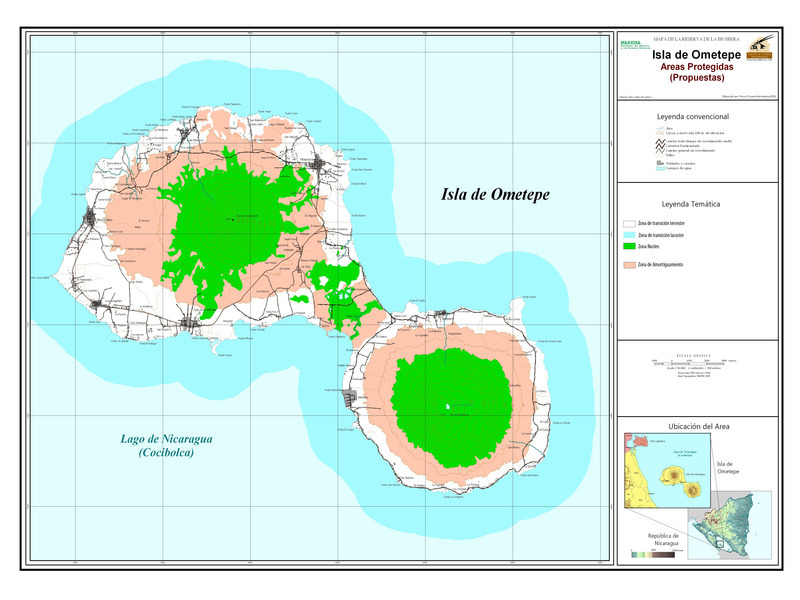 Island made up of two volcanoes found in Lake Cocibolca, in the southern Pacific region of Nicaragua, in a transition area between the dry region of the Pacific and the moist region of the Atlantic of Nicaragua. 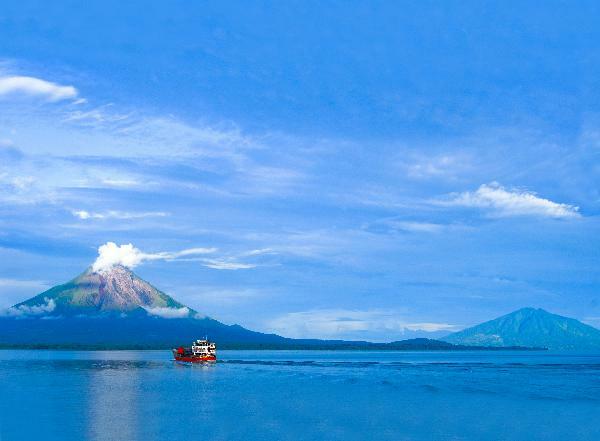 This particular situation provides the island with its rich biodiversity. The most well conserved cloud forest in the country is found here and it is home to species characteristic of the center of Nicaragua, as well as rainforest with typically Caribbean species, dry-moist transition forest, which is possibly the only unaltered example of this type in Nicaragua, and the more typical dry forest of the Pacific region. In this relatively small area, we also find crater lakes, wetlands with their typical vegetation and beaches that are home to fresh water turtle nesting. Associated with these ecosystems are a wide range of genetic diversity of both threatened and endangered species of flora and fauna, as well as animal and plant species that are endemic or limited to Meso-America. There is also exceptional archaeological heritage found here.